← Dave Bally, your fellow Corvair Builder, from an EAA family. Corvairs at the 25th Zenith open house. 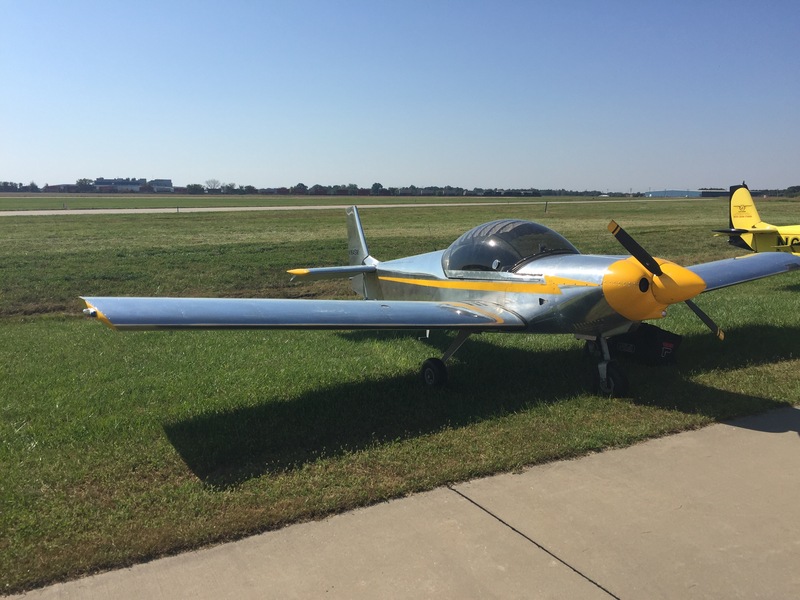 Below is a look at the four Corvair powered Zeniths which flew into the 25th open house in Mexico MO, last week. Let me say again, that I remain very thankful that we have builders who put out a great effort to return to events in their finished planes, and share their experience with fellow builders. Over the years we have had about 20 different builders fly their Zeniths back to the open house and to the Corvair Colleges we have held at the factory, and a number of these builders returned several times. This years collection has one plane making it’s debut, and three returning aircraft. 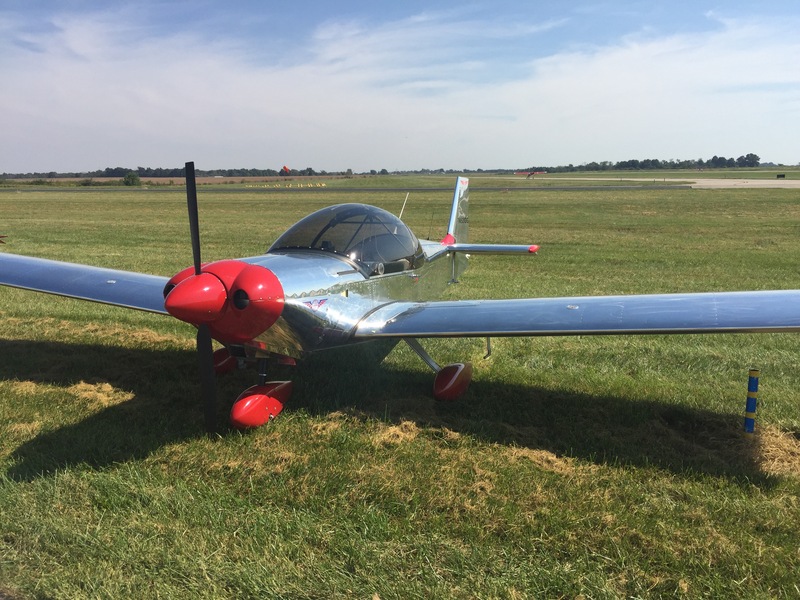 The high percentage of returning planes demonstrates that the events at the factory are excellent aviation events, not something builders do once so they can check off the “fly back to the factory” box. Above the Westedt’s, Craig and Val, stand in front of Val’s CH-650. Craig had hands on the motor, but the airframe is Val’s achievement. This was the first year at the factory. They flew in from Oklahoma. This plane was awarded “Best low wing zenith” at the 25th Open House. Above, Dave Gardea’s CH-650, which has been flying about 4 years. 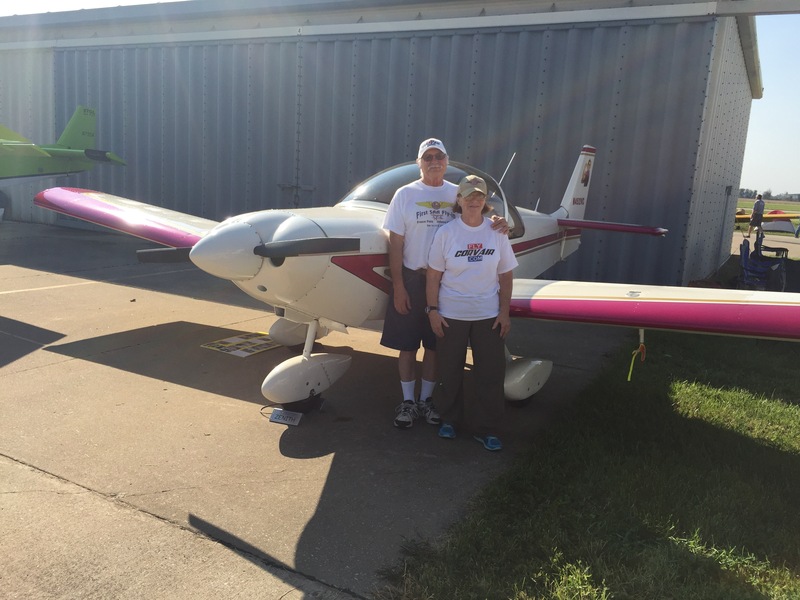 Dave has a 2,700cc engine and reports climb at 85 mph was 800-900 fpm. Level flight at 3500 ft full throttle yields 123 mph at 3050 rpm with the Warp drive prop at 9.5 degrees of pitch. He is from Indiana. Above the CH-601XL-B of Dr. Steve Mineart, from Iowa. The plane has been flying a little less than 10 years. Steve offered his home as one of our stops on the 2005 Midwest night school tour, and we have been friends ever since. 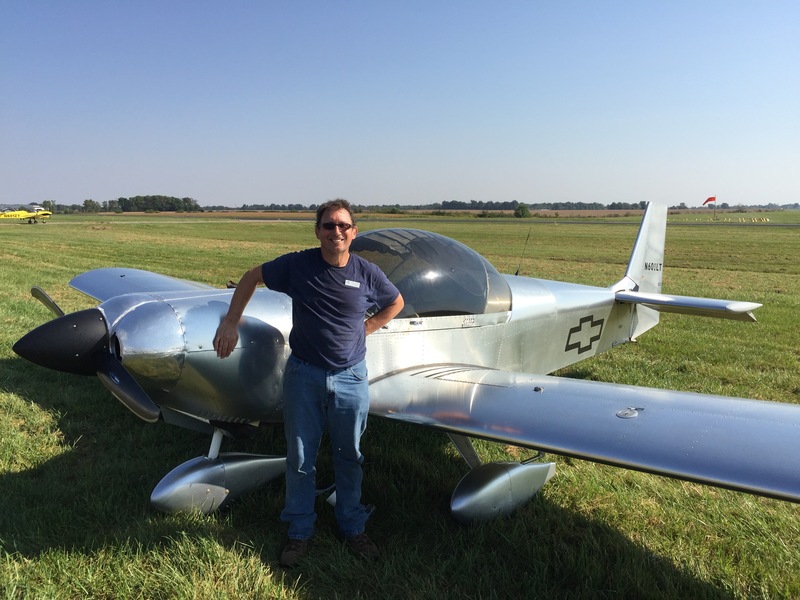 The plane is flying on a 2700cc engine. Below, the Plans built 601XL-B of Ron Lendon, from Michigan. He now has 600 hours on the plane. It is powered with a 2850cc Corvair. Ron’s engine first ran at Corvair College #17. Above, a famous 2014 Zenith Open House photo of five Corvair Powered Zeniths. 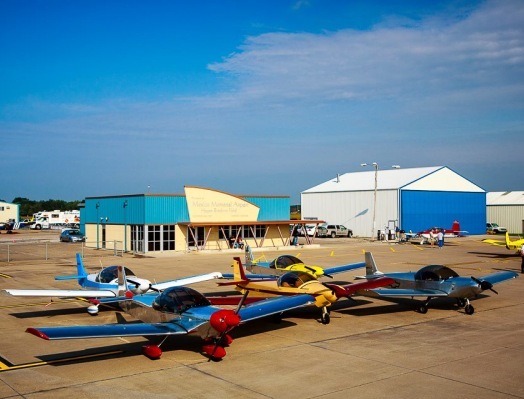 Note that Dave and Ron’s planes are in the picture, along with The McDaniel’s 650, the Hoyts 650, and Lynn Dingfelders 601XLB.